Dr. Shaw and her team will work with you to achieve a better state of health. Welcome to Nova Chiropractic Center for Optimal Health! Dr. Heather Shaw established Nova Chiropractic Center for Optimal Health in 1995. She previously had a practice in Minnesota for three years before moving to much warmer California to serve those in the Santa Clara community. “Because Nova is like a new beginning, our practice name was appropriate as I restarted my practice in a new area.” Dr. Shaw loves her job and finds her profession to be so rewarding. She looks forward to helping you with your new beginning to a healthier you. My purpose is to help as many people as possible to live the life they were meant to live. I’ve seen too many deteriorate way before their time. I help people by restoring and maintaining their health naturally through chiropractic care, education and nutrition. “I’m pretty impressed by what chiropractic care can do on a daily basis,” says Dr. Shaw. She finds it remarkable how quickly chiropractic can get people out of pain. Dr. Shaw has seen patients who have been living with pain for years and years. After a few treatments, however, their pain disappeared. Chiropractic allows the body to heal itself. Through chiropractic care and nutritional counseling, Dr. Shaw gives her patients foundational care to help them enjoy greater health. Since she’s added nutrition to her practice, she found that each patient’s quality of life got dramatically better. 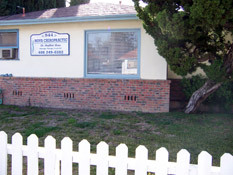 Dr. Shaw’s patients enjoy the cheerful, relaxed environment. One of our patients said, “I always leave here with a smile on my face.” People look forward to their visit to our office as a highlight to their week. Be empowered to enjoy better health. Contact us today to schedule an appointment!